Motorcycle boots are as varied as motorcycle riders. 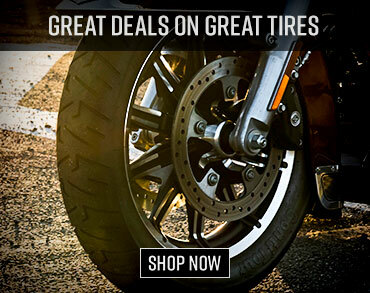 They are tailored to the specific demands, be it street, track, or off-roading. These A-Stars Tech 10 are high-end motocross boots. Motorcycle Boots are an important piece of protective gear. Off-road environments throw so many different hazards at a rider and the closest body part to most of them are your feet. Even a $100 pair of boots is vastly superior to the tennis shoes, logger boots or whatever else you might be wearing. However, like the helmet market, with today’s level of advancement you get what you pay for with boot manufacturers. Many gear makers also produce their own boots such as Alpinestars, Fox, Thor, Fly, Shift and others. But, there are also dedicated boot companies which focus solely on producing quality footwear such as TCX, Sidi and Gaerne among others. Motocross and off-road applications are the same with no mentionable distinction between them in the market. There are some specialized segments for trials and dual-sport, but motocross and enduro kicks are the same for all intents and purposes so we’ll discuss those. There are a couple main differences in styles of off-road boots. From an exterior point of view there are hinged and non-hinged boots. Those that incorporate the hinged design are typically more expensive. One of the main benefits of a hinged design is the amount of flexibility at the ankle. Our experience has found this form to be very safe. Top-shelf offerings such as Sidi’s Crossfire set the standard for hinged models and have been raved about for protection and comfort. Non-hinged designs are typically more rigid which can be preferable depending on personal taste. Non-hinged boots take longer to break in. Other exterior features that can make a big difference in price and wearability are the buckle systems and soles. Soles on almost all modern boots are replaceable by a cobbler, but some are now interchangeable by the boot owner. The inner bootie helps protect the rider’s foot with an integrated ankle brace and a hard plastic shell. The interior of boots can offer different feels as well with two primary forms: bootie and non-bootie. Some boots use a removable/washable bootie that slips on the foot prior to inserting into the boot itself. The advantages of a bootie are increased comfort and washability, but they can also create an uncomfortably tight fit and retain heat. Boots without a slipper-style insert are more affordable, but they don’t typically provide the same amount of comfort and stability for the foot and ankle. For cruiser and touring riders, the criteria for a good boot aren’t quite as specialized. Of course, protection is a premium, but fit and comfort rank high as well because riders in this category often spend more time on and off the bike in their boots. Leather seems to be the standard, but aren’t as waterproof as other materials like Lorica or Goretex. But there’s nothing like the fit and feel of genuine leather which can be treated to give it more protection against the elements. Boots should fit tight but comfortable. Slip-on style boots are adequate but don’t fit as snug as buckled varieties do and have a habit of coming off in crashes. Lace-up boots fit well but add the extra hazard of laces getting entangled in gears or chains. 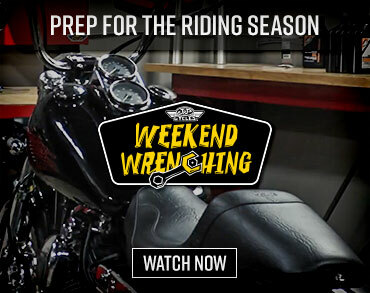 The demands of a cruiser rider are much different than track guys but protection is paramount for both. The best thing to do is make sure that you get a boot that comes up at least around mid-calf and has a solid upper design. Check them for impact protection in the areas covering the shins, instep and ankles. Often these reinforcements are made of durable material like Carbon Kevlar or hard plastic. A shifter pad is also an added benefit to look for in a good pair of boots. Just make sure that it’s not so thick that it doesn’t squeeze in between the foot control and the gear shifter. Oil-resistant soles are preferable. The first time you stop an 800+lb cruiser on an incline right after a first rain you’ll be thankful you chose oil-resistant soles. Also, check to see how they are attached. Soles that are sewn on are stronger than ones that have been bonded on, and most good boots are both. Stitched-on soles are replaceable, while bonded soles are cheaper but tend to wear out faster. The boot should have a heel. You don’t want a heel that’s too thick and could lock your foot in one position, preventing you from being able to get to the rear brake lever in time. Most boots for cruiser and touring riders are made for walking as well, and a big heel isn’t very comfortable to hoof it around on. Because the majority of boots fashioned for the cruiser rider are black and leather, reflective piping is always a bonus. Reflective inserts are also available; just make sure they sit low enough on your boots so that your pant legs don’t cover them up. And if you’re vacillating between dropping the dough for a stout pair of boots or buying the similar pair you saw on sale, consider this. A study claims that in over 80% of motorcycle crashes, riders suffer some form of leg injuries, including 16% to the feet and 23% to the ankles. On a personal note, I’m certain that I would have broken my ankle if it were not for the reinforcements of the boots I was wearing at the time. I was hobbled for a couple of days, but was back on my feet by the third day thanks to a solid pair of riding boots. These are the same boots that grace the feet of 2007 MotoGP champion Casey Stoner and 2007 AMA Superbike champion Ben Spies. The same general rules apply for regular street boots – look for protection and comfort. Ankle support is a must, as are non-slip soles to help catch you in those oops moments. Another thing to look for in a street boot is ease of taking them on and off. If you’re an everyday commuter or weekend rider, simple Velcro and zippers will work. 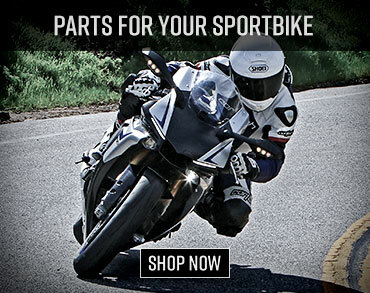 If you’re looking for a trackday boot, go for the purpose-built sportbike track boots. Most have a form-fitting inner bootie to go underneath the armored exterior. Light weight for a racing boot is a plus, as is venting. A rider should also consider some comfort for walking. You won’t be taking any hiking trips in your track boots, but you will want to hobble around the paddock. Admirable features on a solid track boot include replaceable parts like toe-sliders, as any track rider worth their salt will be scraping them up in no time.